Wireless data transmission is now commonplace in machinery and equipment applications. WAGO’s 758-918 wireless Ethernet gateway, which meets the IP65 degree of protection and has an internal directional antenna, is suitable for harsh industrial environments. 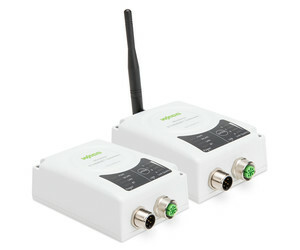 In addition to the standard current WLAN standards, it also allows communication via Bluetooth 4.0. Integrated access point functionality makes it possible to set up a WLAN or Bluetooth network, and the gateway can be easily configured with a button on the device or via web server. 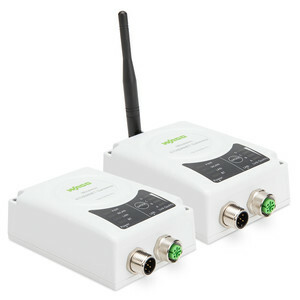 Main features include WLAN 802.11 a/b/g/d/e/i/h and Bluetooth 4.0 with robust communication and high data throughout. The IP65 protection allows for direct on-machine use. Access point functionality makes it possible to build a network of up to seven clients. An additional version with external antenna is also available, which can be used in a control cabinet or where there is a poor radio connection. I am interested in WAGO 758-918 wireless Ethernet gateway .